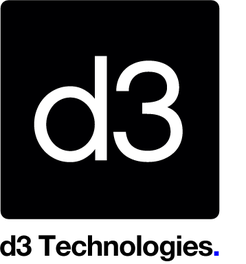 d3 Technologies announced r14, their third major software release this year. r14 introduces two brand new features: real-time generative effects and device recording. Other improvements include improved DMX patching, sACN and CITP support, cue lists, as well as various under-the-hood performance updates. Leading r14's features is Gold support for Notch real-time generative effects playback. Notch introduces a new era for content and effects creators, letting users edit and create high quality real-time content in a node-based environment, then transfer and play back in d3 without time-consuming rendering. Notch content is rendered in real-time on the GPU, so it can also apply effects to your live video capture / IMAG or be made responsive to live stage data, such as audio, MIDI, automation or BlackTrax tracking. r14 also comes with a library of sample effects to get users started including: Colour Correction/ Grading, Distortion, Edge Detect, Edge Ghosting, Fish Eye, Glitter, Glow, Rain, Ripples, Scanlines, Snow, Sparks, VHS. "We've been excited by the potential of the Notch system ever since we first encountered it two years ago," says Ash Nehru, d3's Technologies Director. "We've been developing Notch integration in the background since then, and are very pleased that it's finally been delivered as a Gold feature. We see generative real-time effects and content as a huge growth area over the next few years, and hope that Notch has a chance of becoming an industry standard. This is just the first step; we look forward to seeing where our talented user community takes us." Another new feature, Device Recording, allows external device signals to be recorded and played back on d3's timeline. Device Recording gives users a new level of power when creating performance responsive content. Users can capture MIDI, DMX, Automation and BlackTrax in one pass during rehearsal, then sequence to their heart's content, even once the performers have left the stage. "Device Record is one of those features that seems simple on the face of it, but has the potential to revolutionise collaborative workflows in pressurised production situations," says Nehru. "If you're creating generative content that tracks performers or moving scenery, it's pretty much an essential piece of kit. However, we expect our users will find all kinds of unpredictable uses for it." Other notable features include d3's cue list, which have been completely revamped, allowing users to trigger any cue in any track, and edit cues within the cue editor without having to jump to the track. Under the hood, d3's networking system has been completely rewritten, making it faster, more reliable, and better-behaved over wireless networks. Users can run wireless editors without having to set up dedicated wireless routers. Lighting Console integration has also been significantly improved with the addition of CITP. Thumbnails can now be transferred between d3 and Hog 4 and GrandMA2 Lighting Consoles enabling faster Sockpuppet sequencing. sACN has been added as an input and output source of DMX. The DMX device manager has been revamped to allow the configuration of thousands of DMX devices in the same project, and output can now be spread across multiple machines, resulting in near unlimited DMX output universes. Lastly, support for OpenEXR still images, improved workflow for VFC setup, improved rendering performance across the board, increased support for dual GPU laptops, and hundreds of bug fixes and improvements were made based on feedback from d3's global network of users. r14 went through extensive in-house testing, and was released to a group of d3 beta testers for a to be put through its paces before being released to the public. Additionally it was put through final live environment testing by d3's Ash Nehru and Andy Briggs, and d3 user Laura Frank at the recent VMA's and Miss America.